1234 N Eagle Lake Drive, Kalamazoo, MI.| MLS# 19001203 | ERA Reardon Realty - Michigan's #1 ERA Real Estate Company serving client in all of Southern Michigan from "lake-to-Lake"
Welcome Home to this beautiful walk-out custom built home located on Eagle Lake with amazing panoramic views designed by Glas Associates! This 3-level home is situated in the cove with 61 ft of frontage. 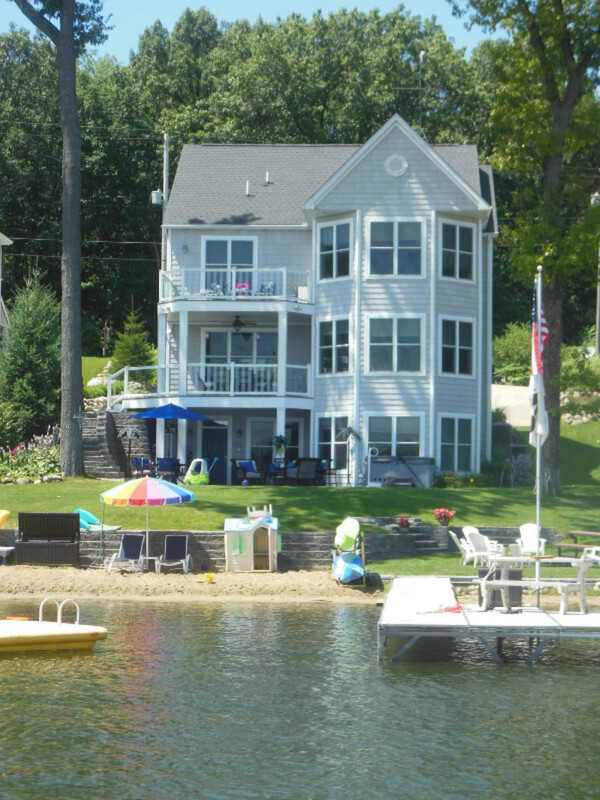 There is 4700 s/f of spacious rooms, loads of windows with incredible lake views; 3 large decks, kitchen with double oven and island that is just perfect for entertaining. New carpet on the 2nd story and main level. Finished walk-out with family room, workout room, bedroom and unique bathroom with access to the lake & hot tub with an additional bath for indoor guests. Home has a standby whole home generator for worry free living; 3 stall 2 story garage with work sink, 1/2 bath and large room for storage. Located just minutes from Texas Corners conveniences.